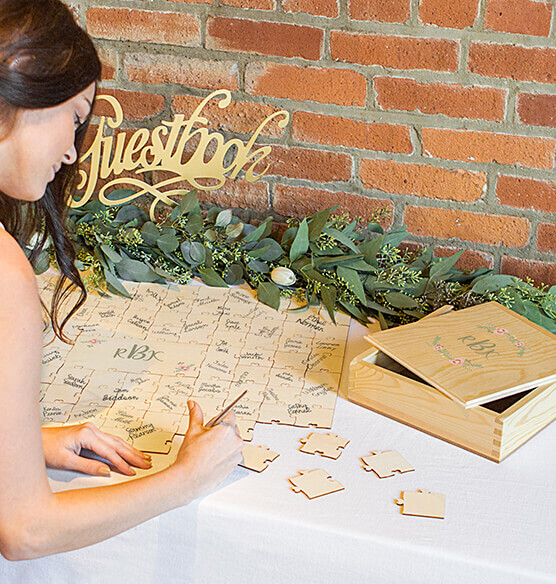 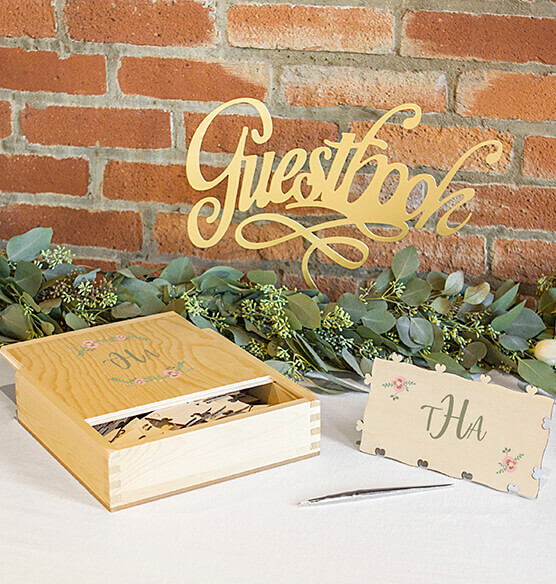 The Personalized Wedding Guestbook Puzzle is a unique way to welcome guests as they enter your reception. 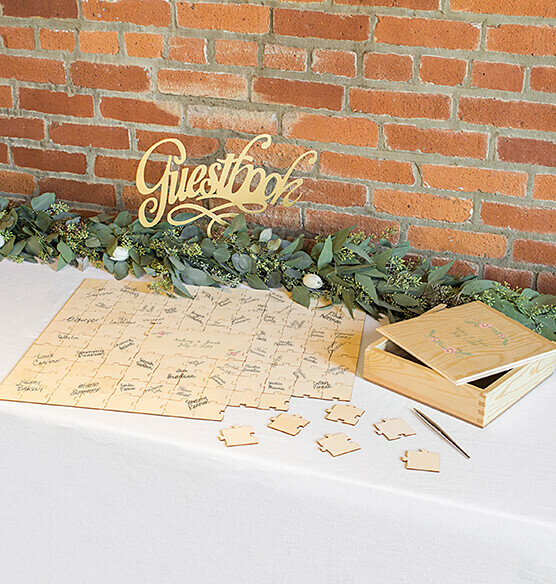 Constructed entirely from wood, this wedding puzzle comes with 112 signing pieces that fit around a decorative center piece to create a large rectangular puzzle. 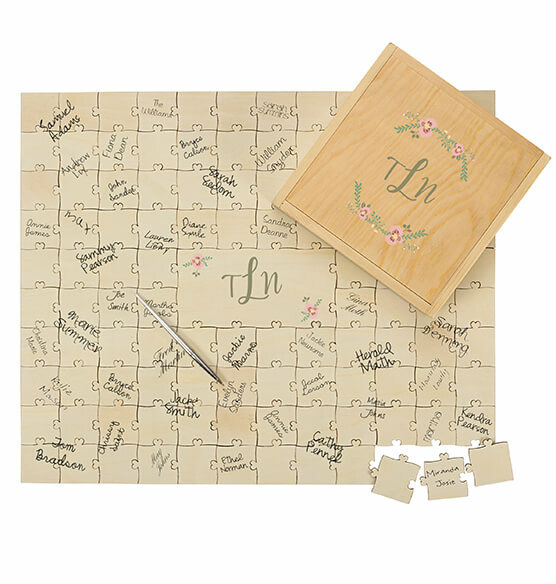 After the wedding, use this keepsake as a fun game or glue the pieces together for a sentimental piece of home décor. 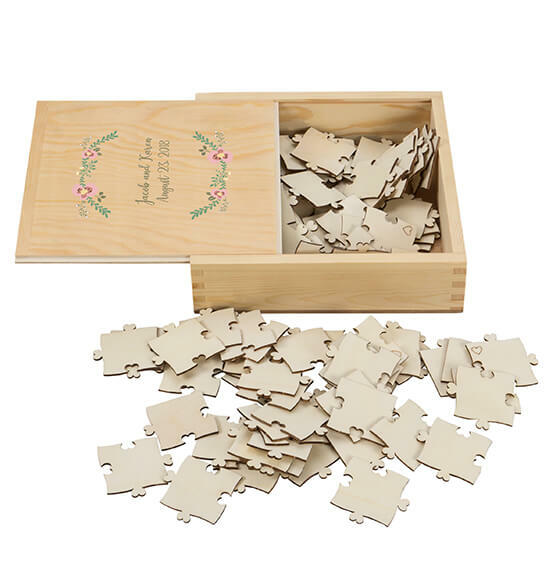 Set includes: 1 decorative wooden box, 112 signing puzzle pieces, and 1 decorative middle puzzle piece.